A consultant in the asset planning practice of the Toronto office of William M. Mercer Limited. He is also a part-time instructor for M.B.A. graduates at the Faculty of Administrative Studies at York University. 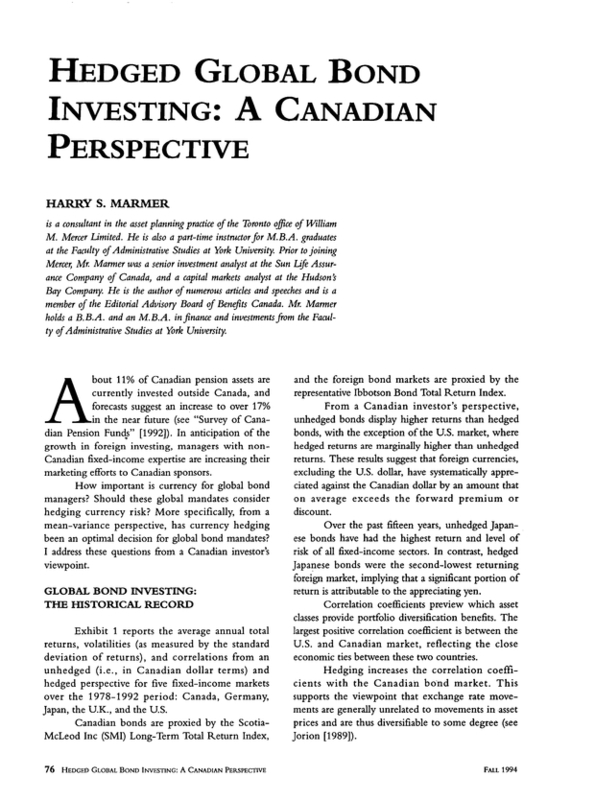 Prior to joining Mercer, Mr. Marmer was a senior investment analyst at the Sun Life Assurance Company of Canada, and a capital markets analyst at the Hudson's Bay Company. He is the author of numerous articles and speeches and is a member of the Editorial Advisory Board of Benefits Canada. Mr. Marmer holds a B.B.A. and an M.B.A. in finance and investments from the Faculty of Administrative Studies at York University.